At the excellent Denver Art Museum, a fine selection of modern art is presented along with the regular European classics. There is some Western American art too, but I find the Leanin' Tree corporate art gallery in nearby Boulder to be a much better collection of that genre. 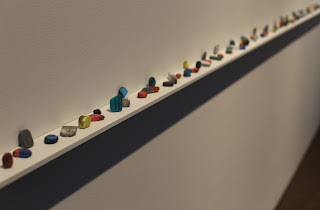 This is David Adamo's Untitled (2012), seemingly a row of well-loved rubber erasers. 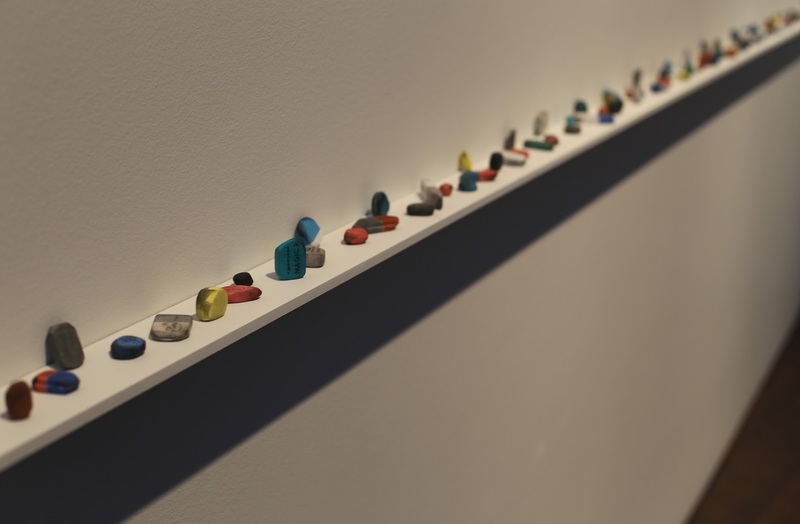 They're actually perfectly painted ceramic models of erasers, an absurd finding given how simple it would be to make the genuine article. The smudge marks and weathering must have taken forever to get exactly right!